You are probably familiar with shipping containers. Those large and long sturdy containers used to carry goods on boats and trains. They look plain and industrial. No one will find it interesting at all. But once you see what the architects did to these shipping containers, you might buy your own shipping container right away or wish to have one like this shipping container houses below. 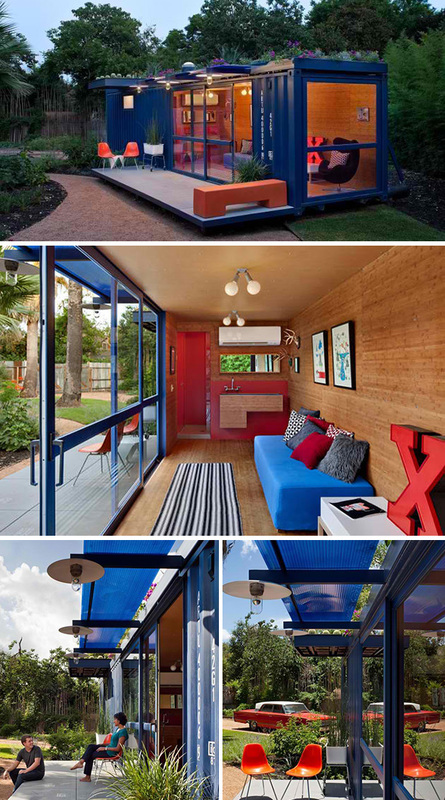 Just a little creativity and you will get a cheap home from shipping containers. And yes, you can totally do away with the ordinary shipping container homes which merely occupy one block because you can actually combine two or more and get a larger and more reliable home. Believe me. 1. 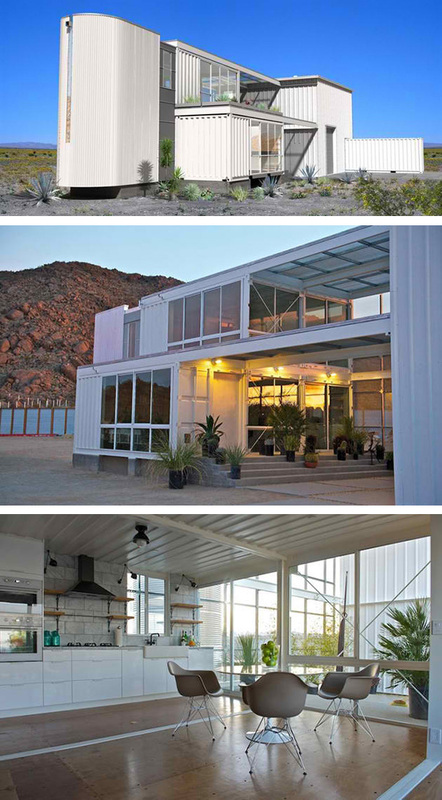 The Tim Palen Studio is considered as a hybrid house designed by Ecotech Design in Mojave Desert. 2. This house in Santiago, Chile is made from 12 containers. Because of its design, it is called The Caterpillar House. Its design in the facade allows natural cooling system from the mountain. It’s like a shipping container houses combined. So unusual & unique like the Floating house. 3. San Antonio guest house is a 360 square feet home designed by Poteet Architects that has a living room, study area, bathroom and patio. 4. A house worth $40,000 made of two 40 ft. shipping containers designed by Benjamin Garcia Saxe is located in San Jose, Costa Rica. 5. 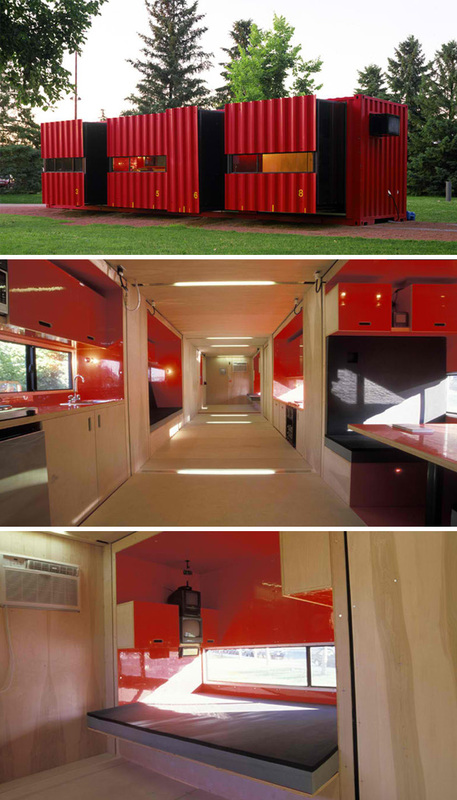 A Mobile Dwelling Unit designed by LOT-EK incorporating pop-out elements that extends from the 40-foot long, 8-foot wide home. 6. Six containers comprise this home in Flagstaff, Arizona built by Ecosa Design Studio. 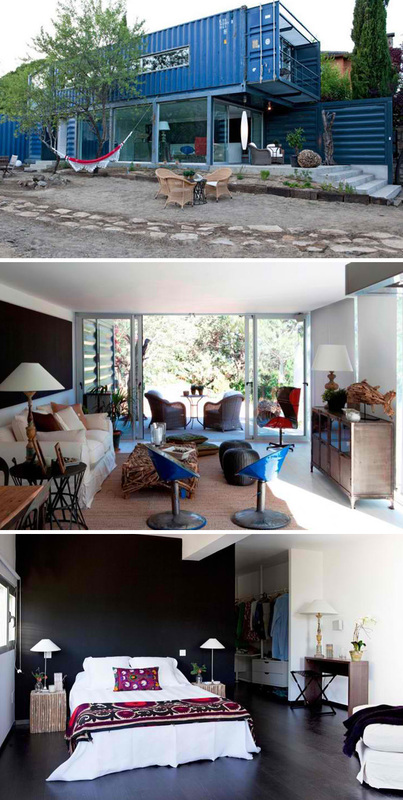 It has concrete floors, glass, walnut wood and a rooftop terrace. 7. The Redondo Beach House by DeMaria Design in Manhataan Beach, California is one mazing house design using eight shipping containers with a 20-foot ceiling and an outdoor lap pool! 8. The Manifesto House in Madrid, Spain is designed by Infiniski comprised of two 40-foot and two 20-foot shipping containers that is also incorporated with alternative energy systems. 9. Four 40-foot shipping containers make up this home located in El Tiemblo, Spain designed by James & Mau Arquitectura and built by Infinski. 10. Six Oaks by David Fenster of Modulus located in Santa Cruz mountains of California is a 1200 square foot home. Cheap homes but expensive appeal. Who would not love to get this? Told you, you will be totally amazed and I know, you are thinking of getting one for you too. Got A Car? You Will Envy How Cars Are Parked In This House. I’m Pretty Sure of That. This Modern House Took My Breath Away! You Should See It!